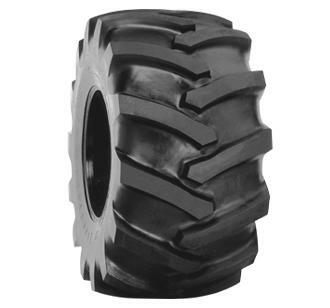 The Firestone Forestry Special tire is a purpose built forestry tire design for use in various forestry applications. The Firestone Forestry Special Tire features a 23 degree tread bar that is 25 percent deeper in the center, and up to 42 percent thicker to protect against cuts, snags and tears (Compared to Traction Field and Road ). The Firestone Forestry Special Tire has been upgraded to meet the demands of higher horsepower machines and heavier loads. With heavy-duty bead-and-rim protector helps keep out debris, the industry standard forestry tire is now even tougher with the addition of CRC (Cut Resistant Compound). For the Firestone Forestry Special Tire, call or order from our online tire store today.